Super Star Rajinikanth, Bollywood Super Star Akshay Kumar, Star Director Shankar Shanmugam and Indian Music Magician Oscar Winner A.R. Rahman combination latest flick Robo 2.0. India’s biggest Sci-fi Thriller and making with huge budget almost Rs.400 crores which is higher than any other Indian Movie. India’s most awaiting movie of 2018 which is completed it’s talkie and shooting part and is under going on post production graphic work for the movie. The Robo 2.0 Movie audio already released in to market, the movie set to release in Telugu, Tamil and Hindi Languages majorly. The whole movie lovers of this combination are eagerly waiting for the Robo 2.0 Teaser release. Robo 2.0 is the sequel of Robo which is released in the Year 2010. 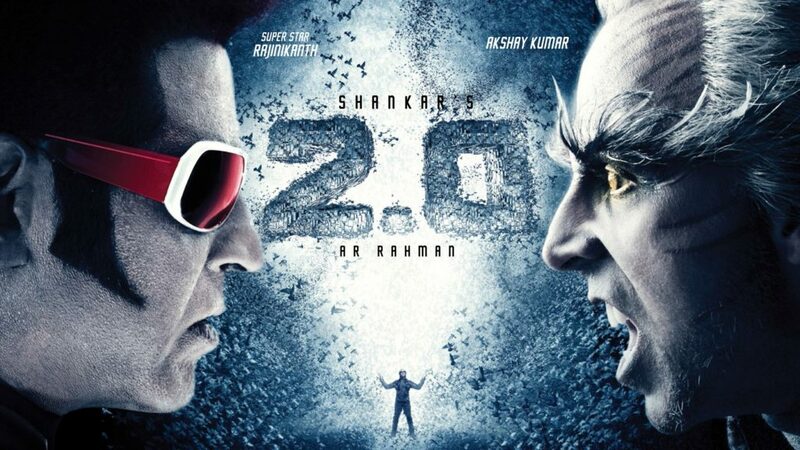 Robo 2.0 is the first movie that 2 Indian Super Stars Rajinikanth and Akshay Kumar playing together in a movie for the first time. The whole Indian Film Industry eagerly waiting for this crazy combination and Director Shankar’s Sci-fi Magic on Silver Screen. But the Latest news which is trolling in media that The Robo 2.0 Movie team got big shock about the Movie that the Teaser of the movie released online and leaked before it’s official release. The online hackers released they unofficial version of the Teaser on Social Media. The Latest incident about the Robo 2.0 Teaser giving warning bells to the team and giving red signals that they should keep aware and should take action against the Online Piracy. Indian movie Trade Analyst Ramesh bala noted about the leak of the Robo 2.0 teaser and tweeted on his twitter account. he added that Robo 2.0 team should find and take action against the culprits behind the leakage and punish severely. To stop and control the damage the Robo 2.0 team should release the movie as soon as possible. But till now neither the Production house of Robo 2.0 Lyca production nor the Director of the movie none of them made a statement against the leakage. Beauty Actress Amy Jackson playing opposite to Rajinikanth. Producing by Subashkaran Allirajah in the Banner of Lyca Productions, Story written by Shankar Shanmugam, B.Jeya Mohan and Abbas Tyrewala. Cinematography by Nirav Shah and Editing by Anthony. VFX by V. Srinivas Mohan. Director Shankar Shanmugam released his latest Sculpture Masterpiece Robo 2.0 Making of Stunning VFX. Watch Exclusively on Amaravathi News Times .